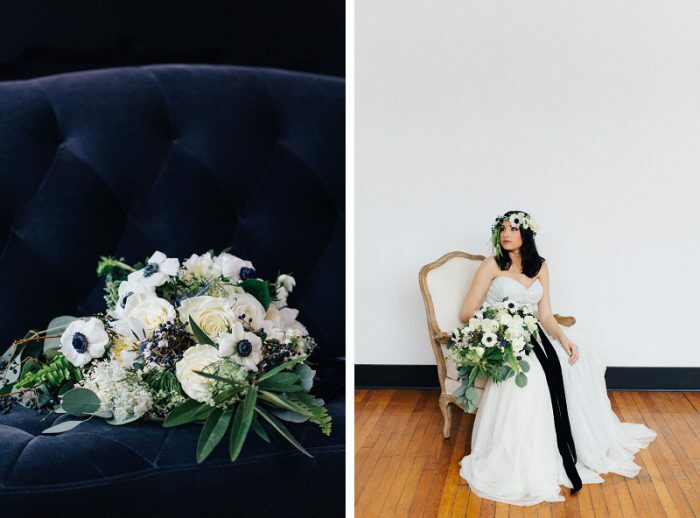 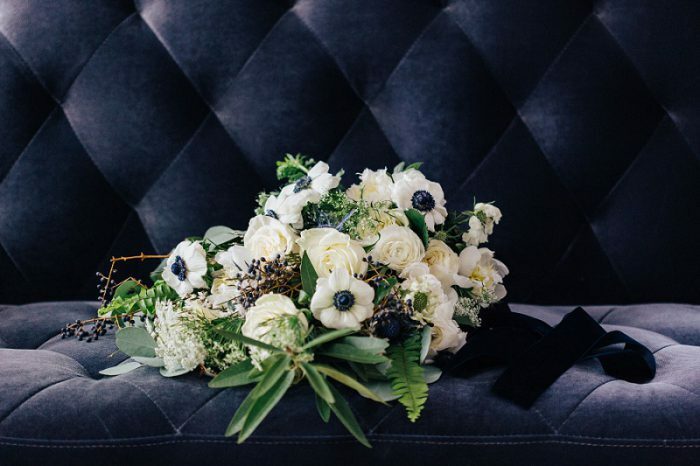 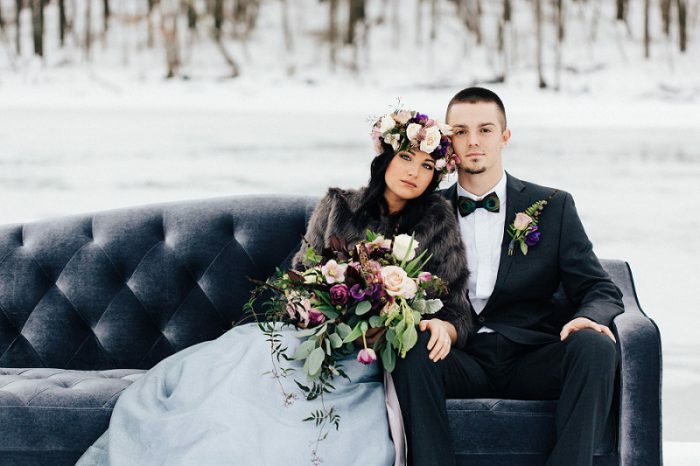 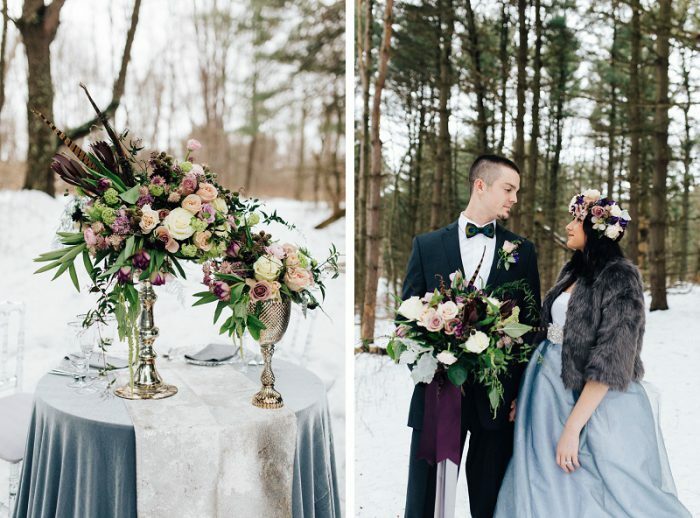 Embracing the dramatic blues and grays of a Pittsburgh winter, this styled shoot is sure to inspire and delight! 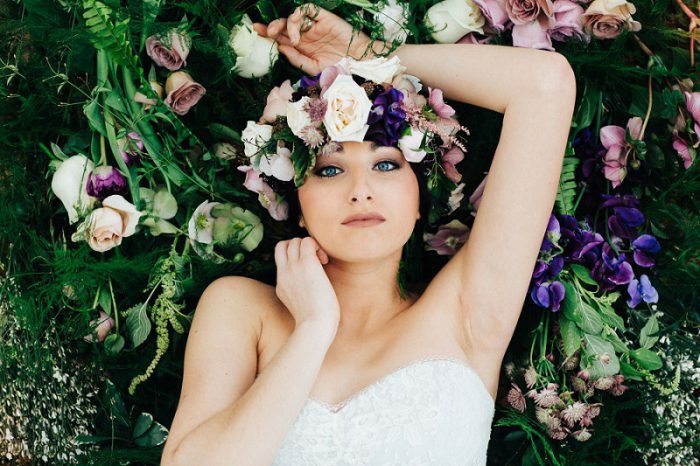 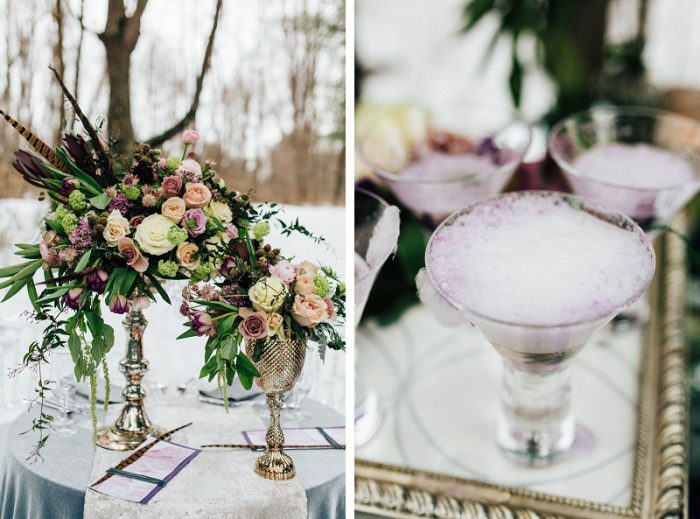 Combining natural and barren backgrounds with deep colors and lush fabrics, Garnish Event Designs’ concept was one of contrast, yet they pulled inspiration from the very season and settings. 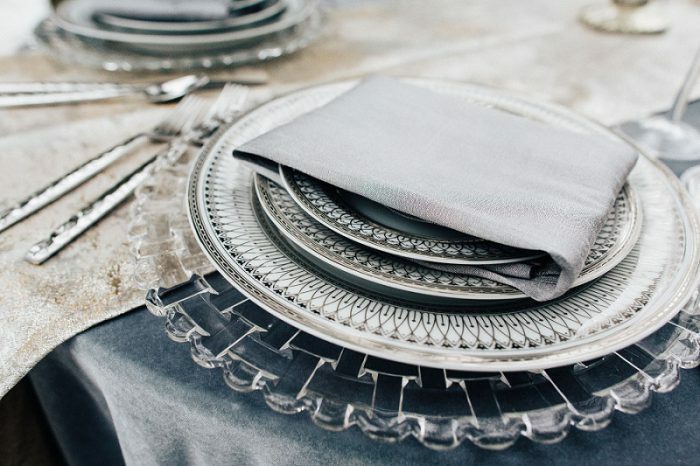 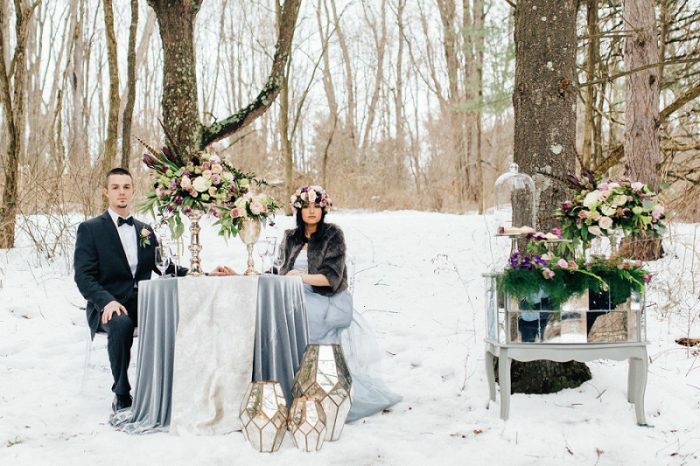 Mirrored displays, beaded accessories, and metallic place settings look strikingly sparkly against the starkness of the dead trees. 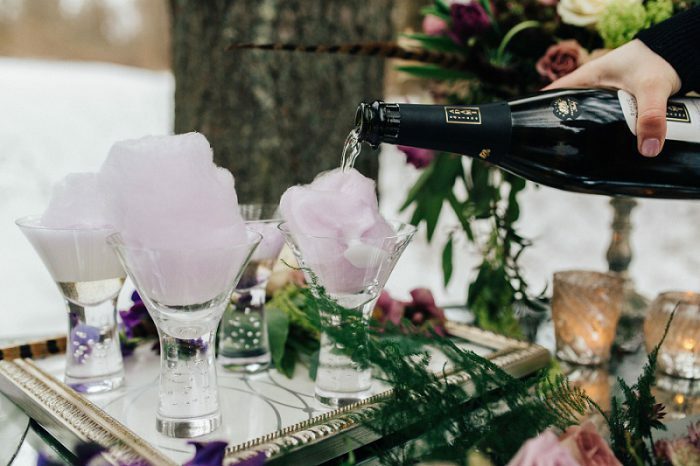 Fluffy white snow led to cotton candy cocktails, velvet linens, and tulle skirts. 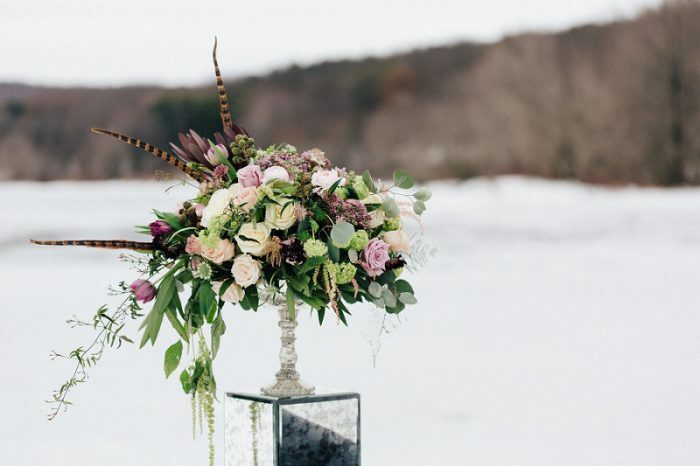 Oversized, textural floral arrangements dripping with variety bring color and life to the otherwise lifeless park. 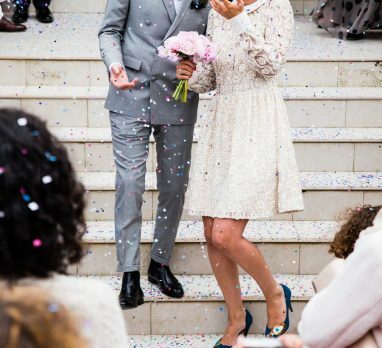 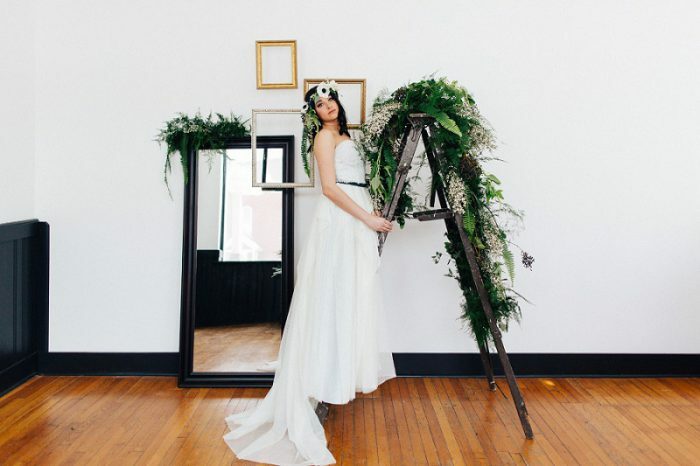 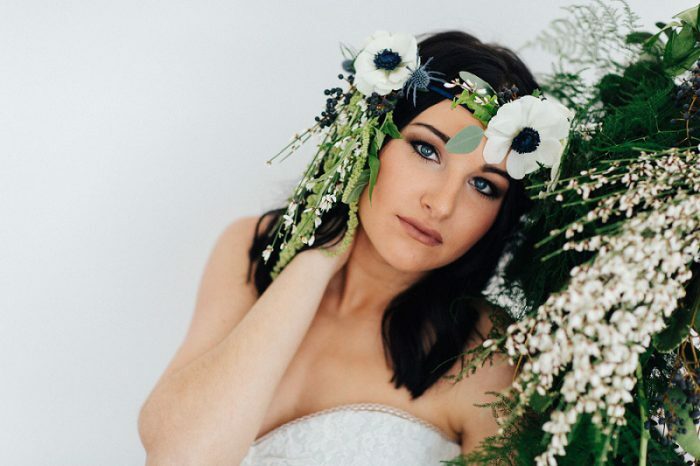 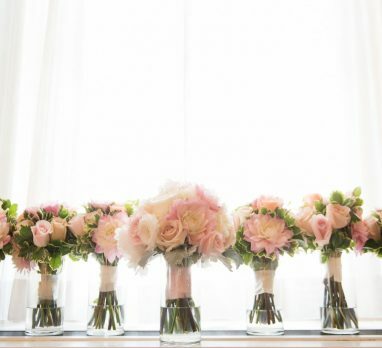 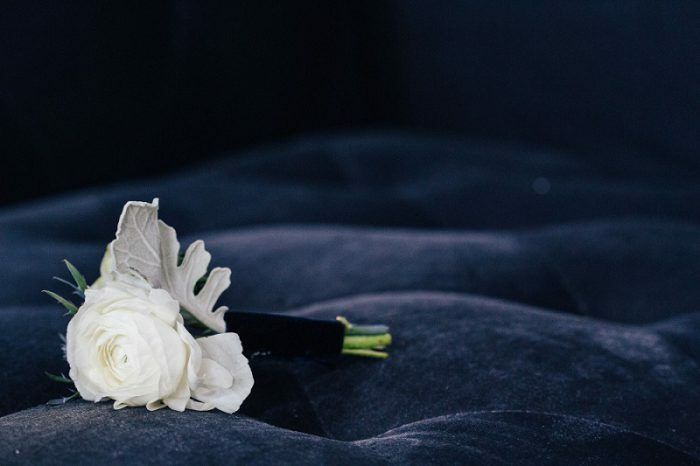 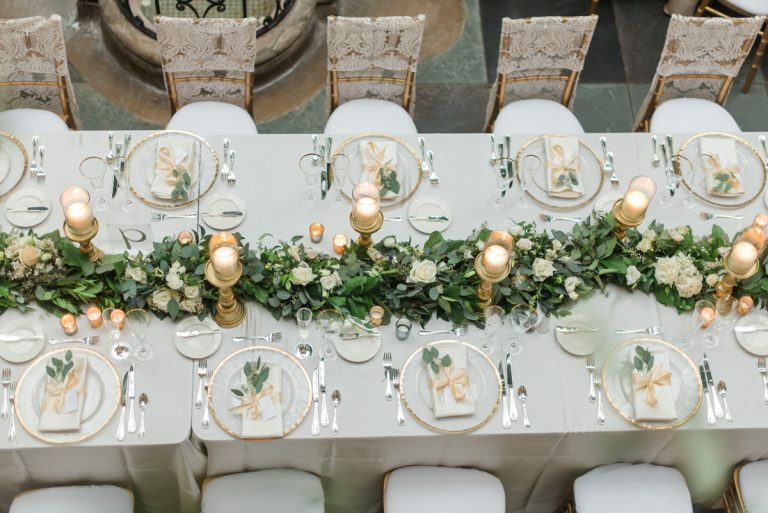 With the help of other members of the Burgh Brides Vendor Guide – Event Source, Clarissa Boutique, and the catering division of JPC Event Group – Garnish’s vision was brought to life with a little camera magic from Rachel Rowland Photography. 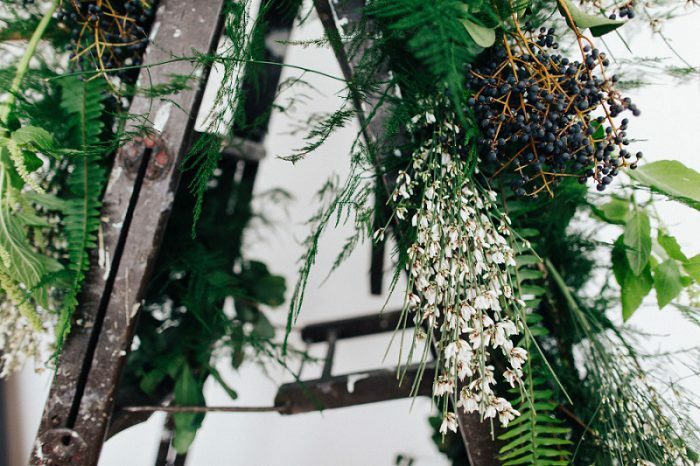 And goodness, what a beautiful vision it was! 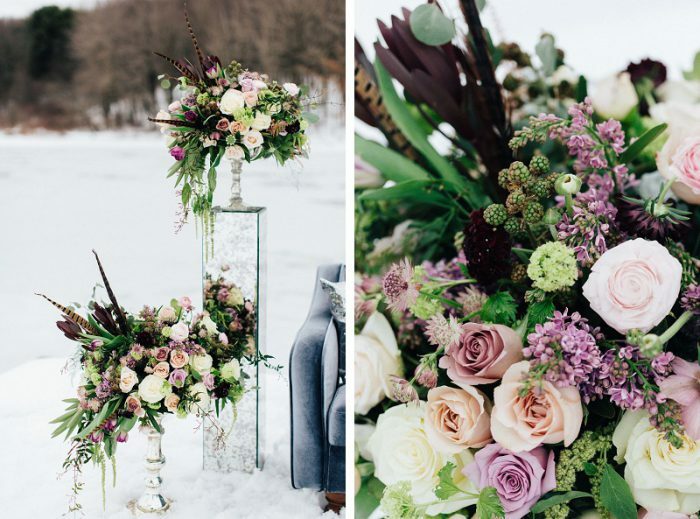 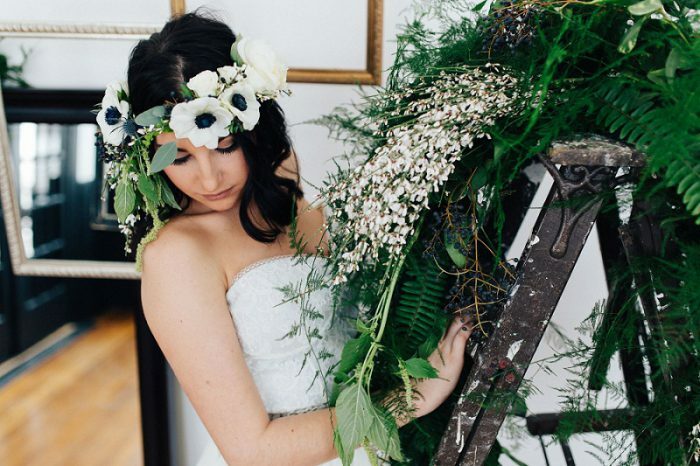 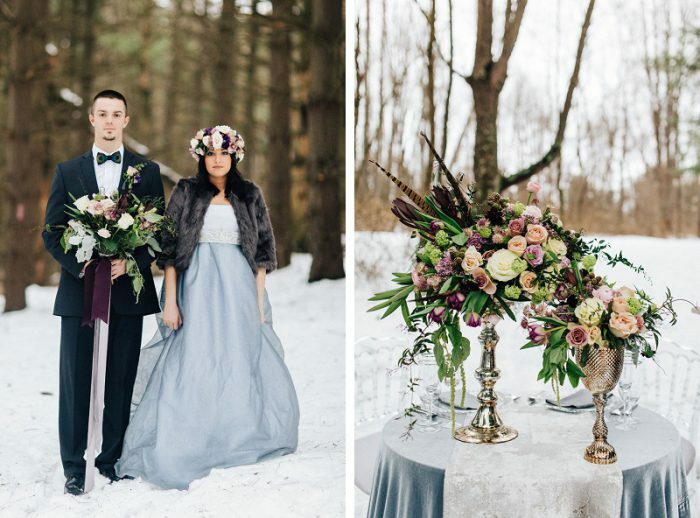 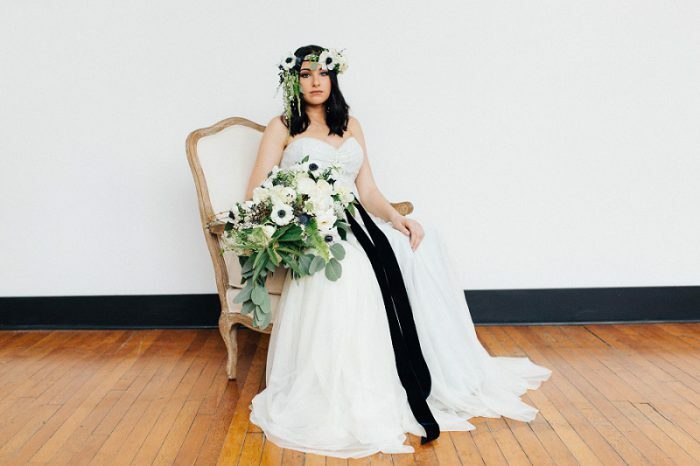 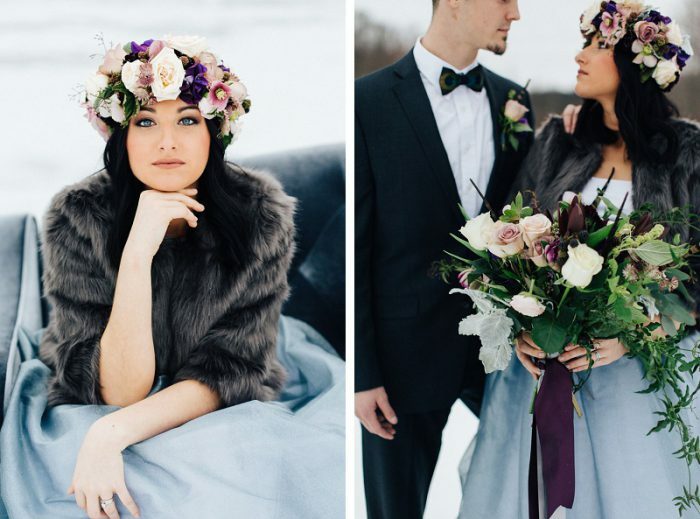 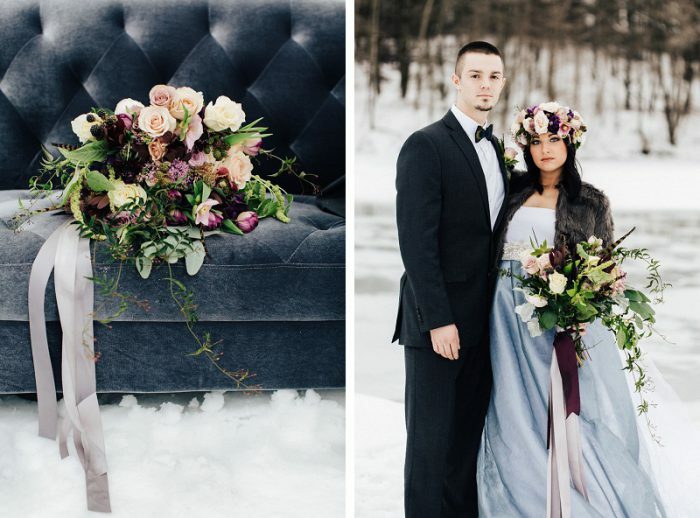 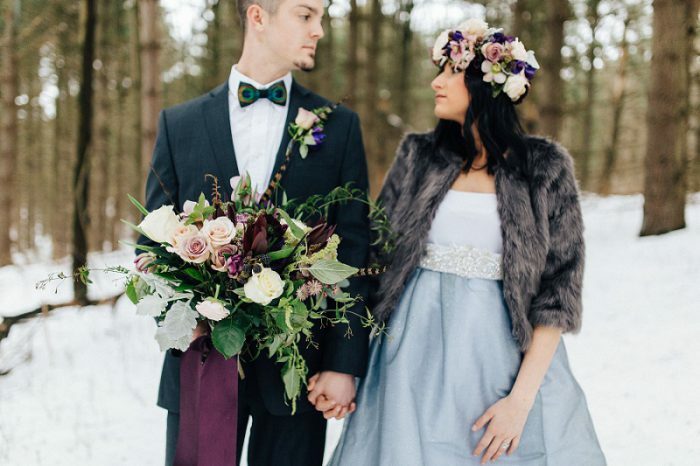 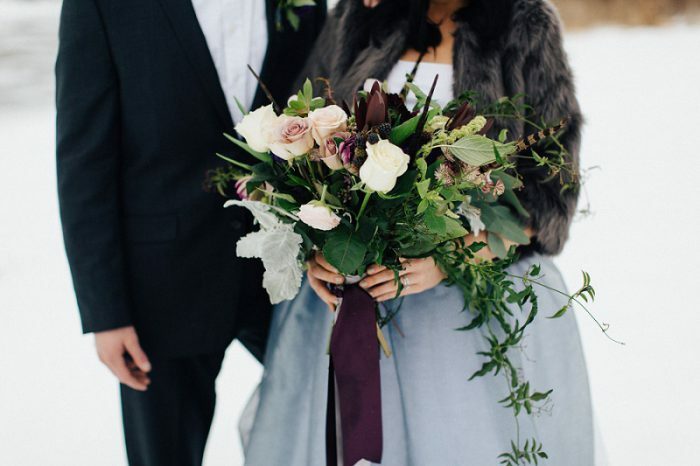 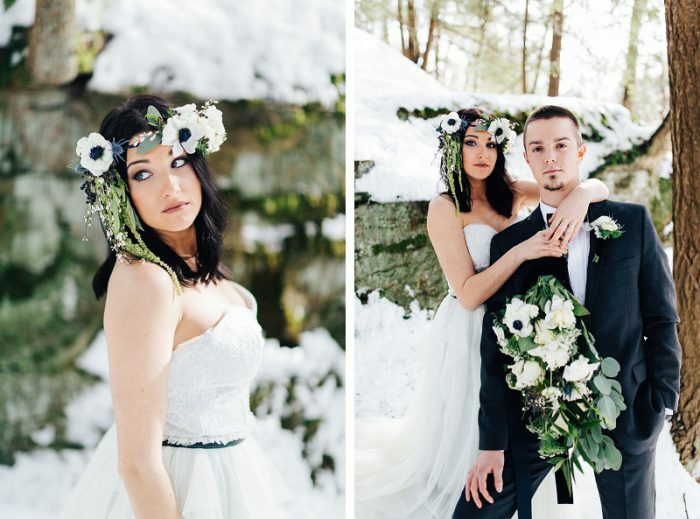 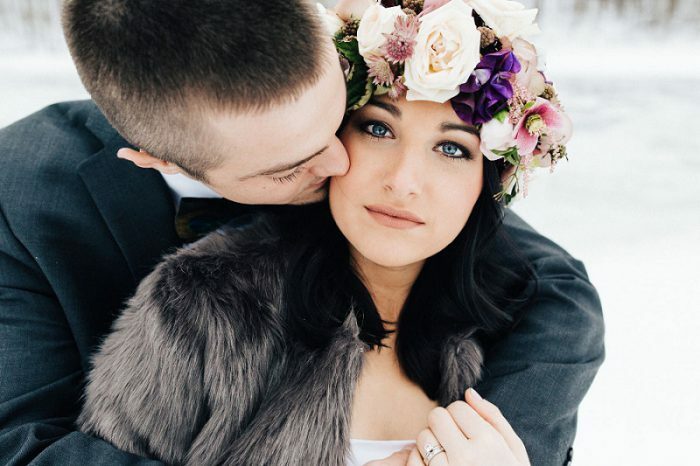 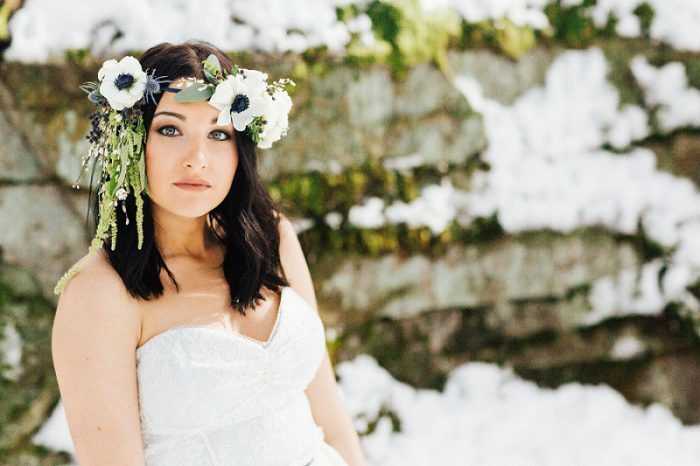 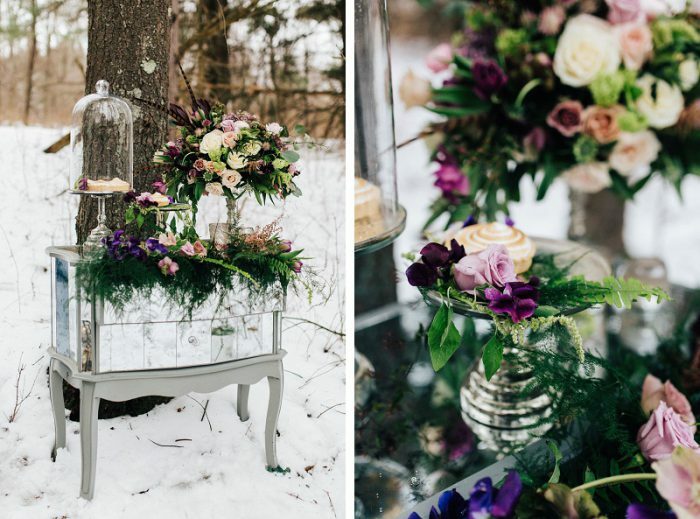 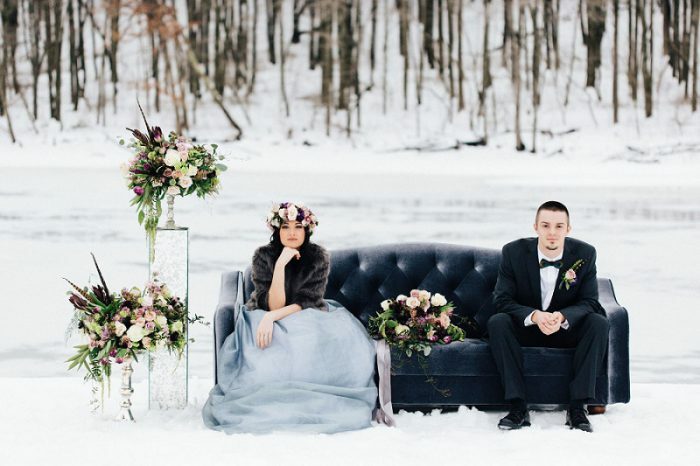 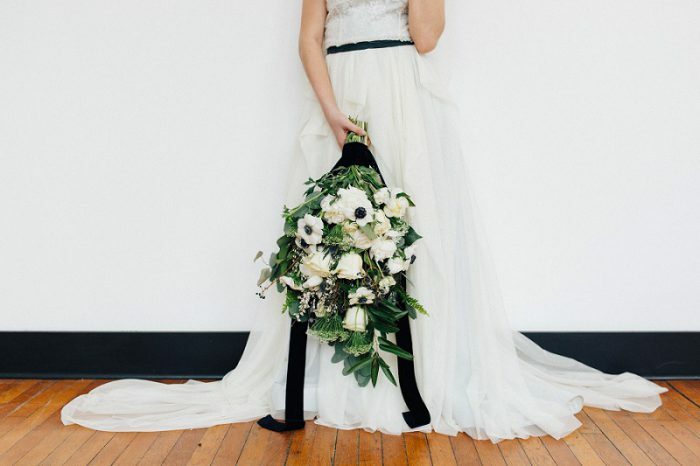 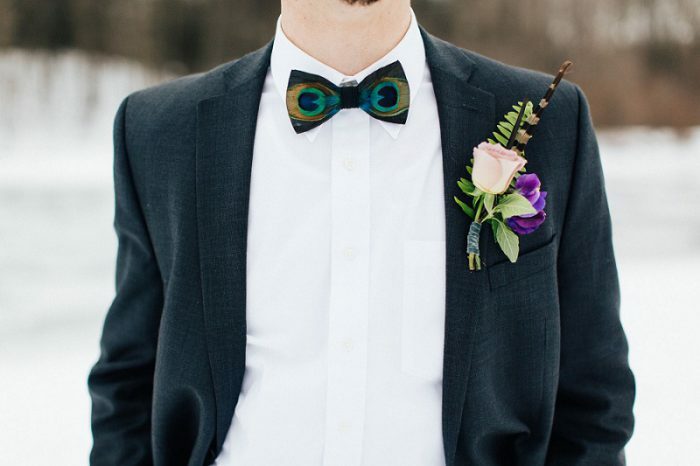 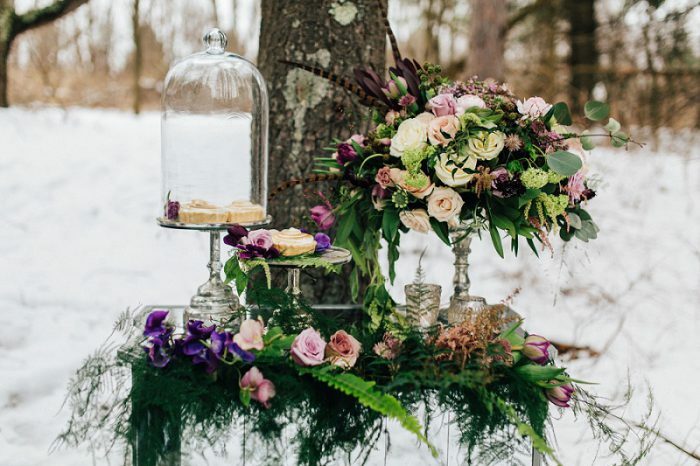 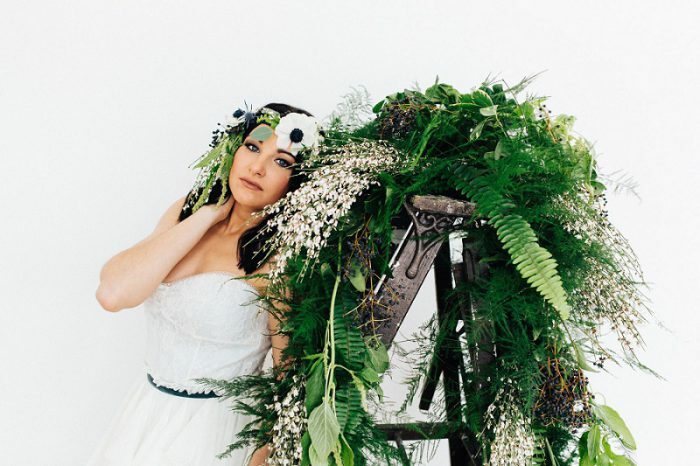 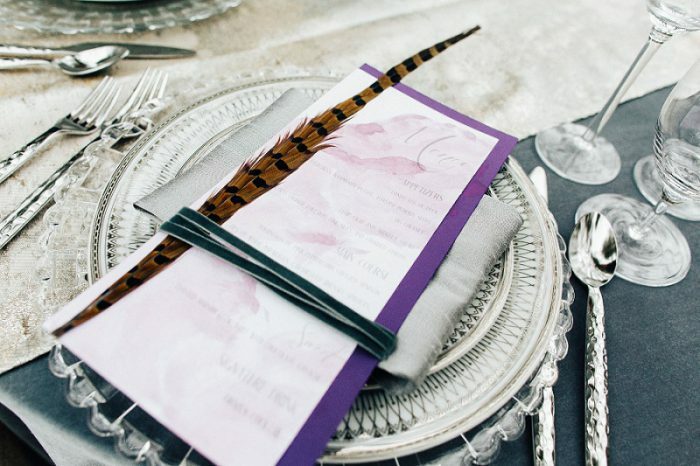 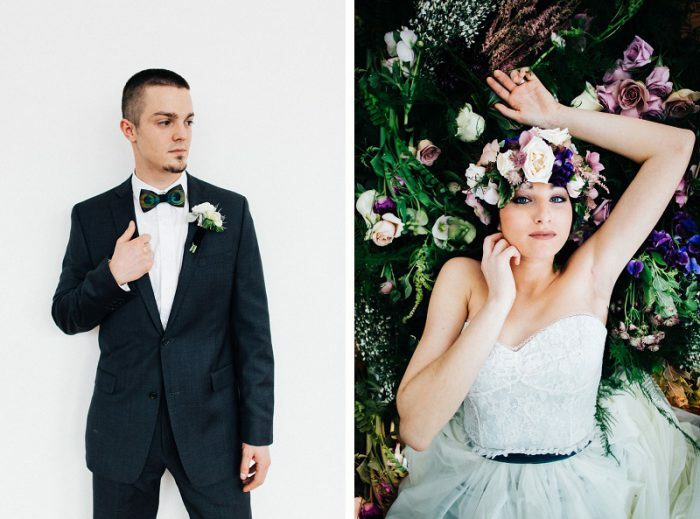 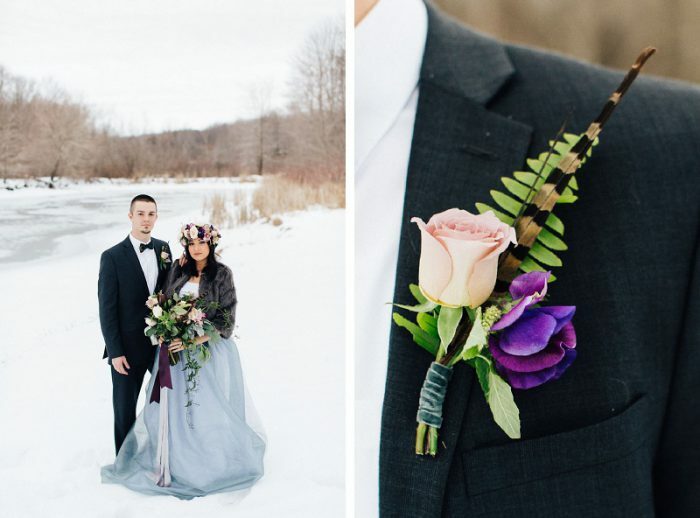 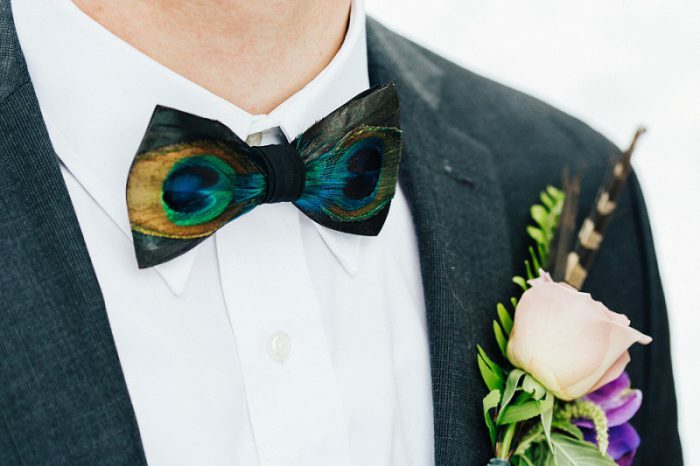 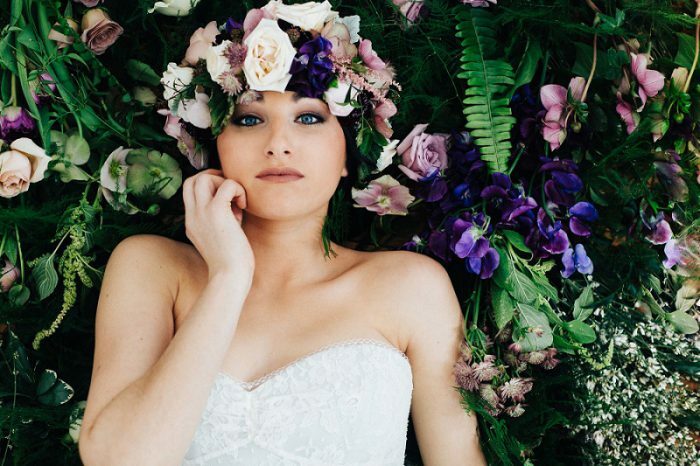 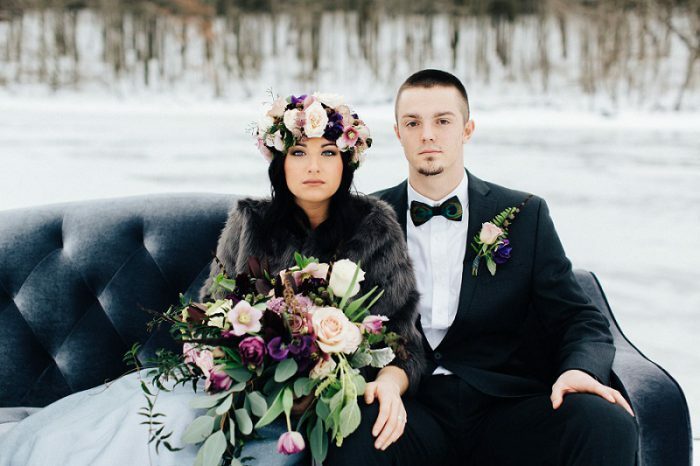 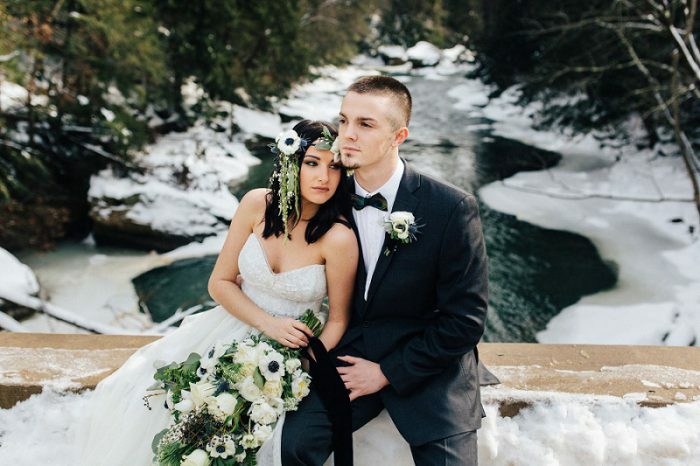 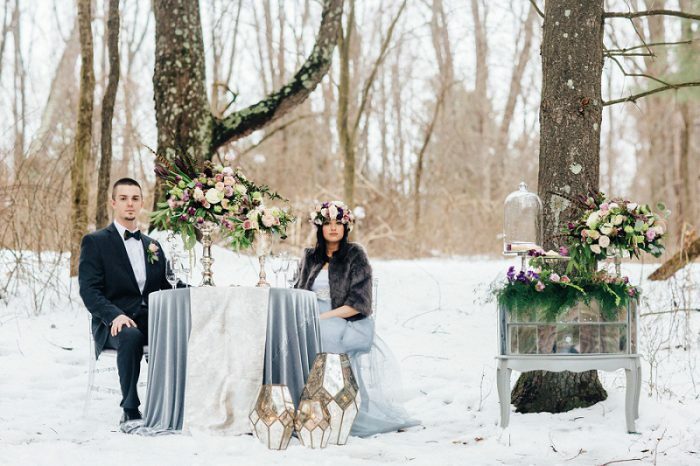 This styled shoot is proof that a winter wedding can be really gorgeous. 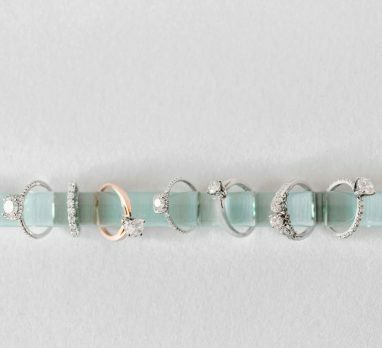 Take that summer. 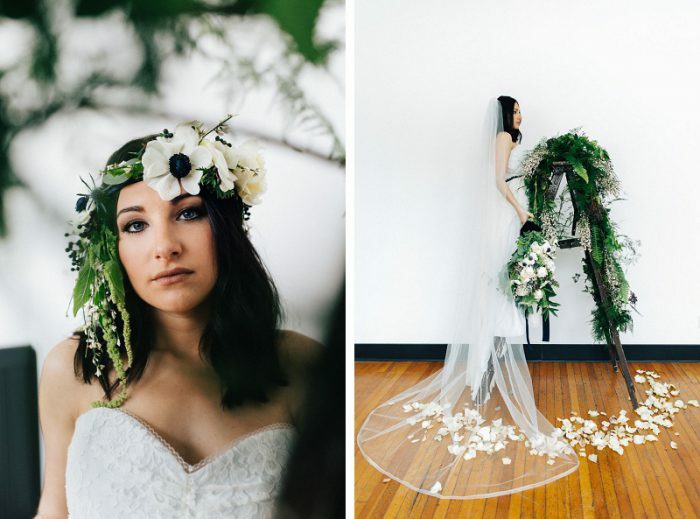 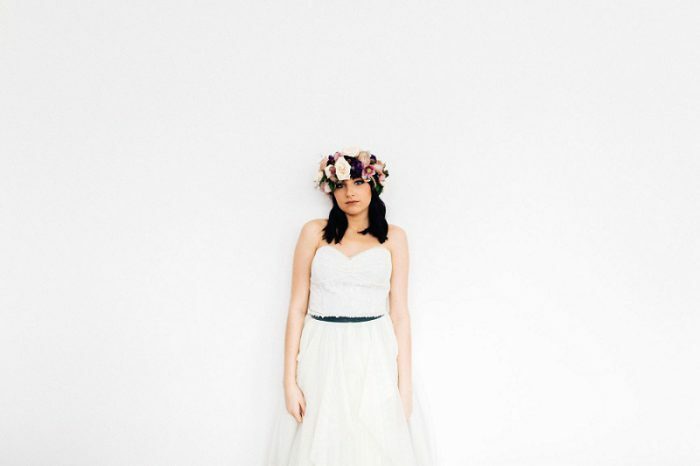 This was my first time making such a large statement piece of a floral headpiece and we ALL loved it! 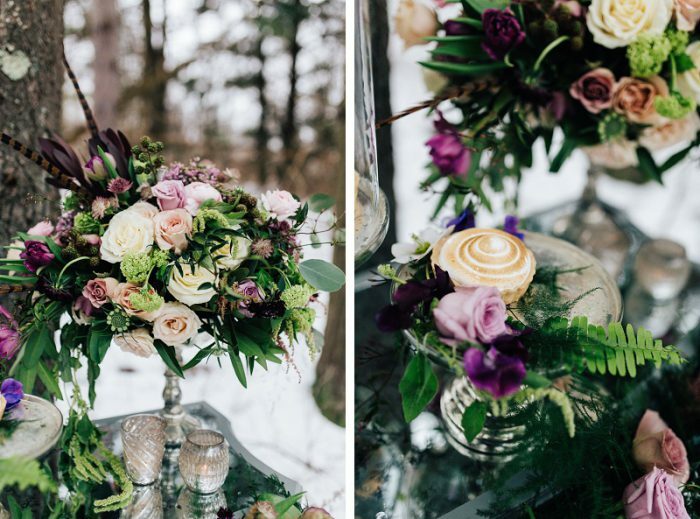 I also used a lot of neat things in the florals – raspberries on the branch, pheasant feathers, baby burgundy artichokes, astrantia, mint, jasmine vine, sweet pea in the most lush purple, pieres japonica, etc. 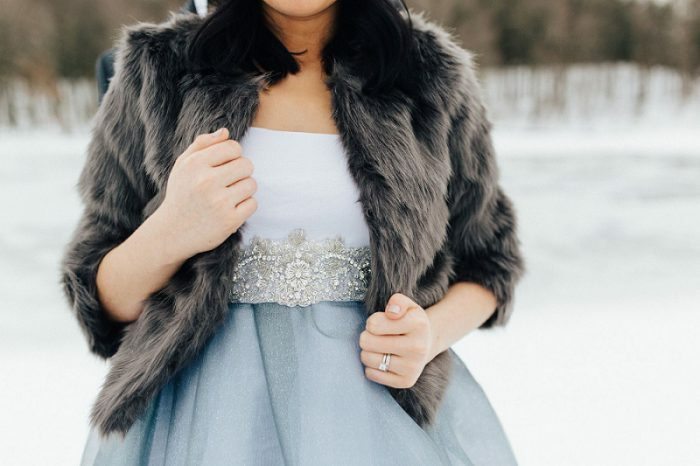 ….. against the white snow. 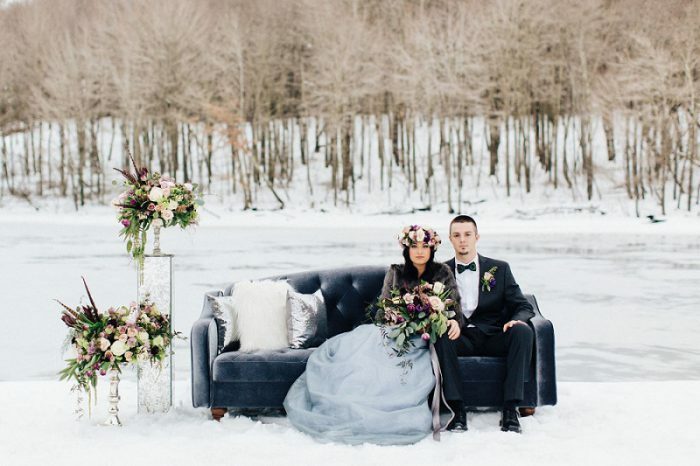 I love the gray velvet couch, the gray velvet table linen, and the gray fur of the jacket. 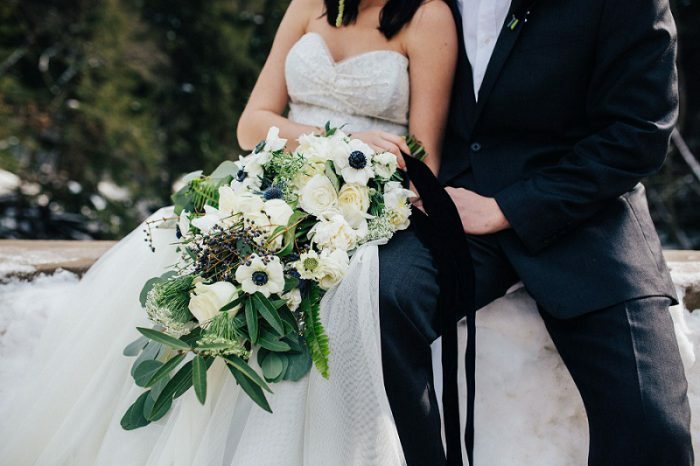 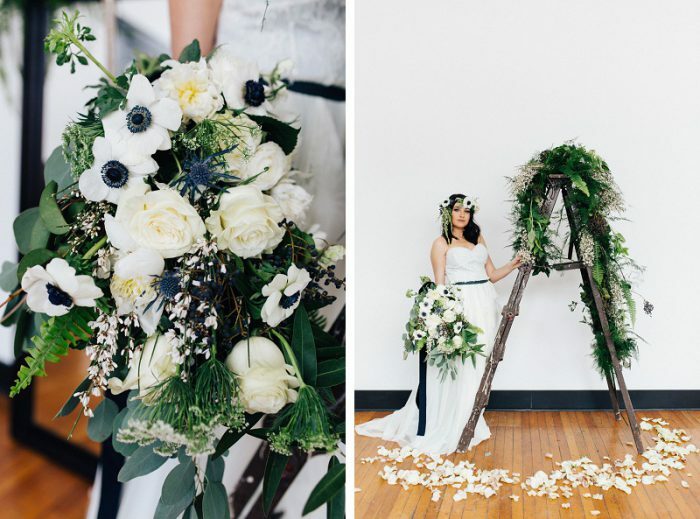 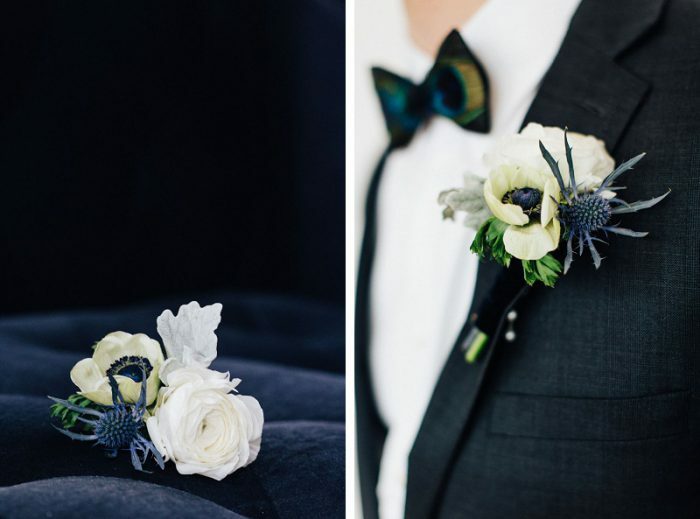 They were so blue with the anemone and the privet berries of the head wreath! 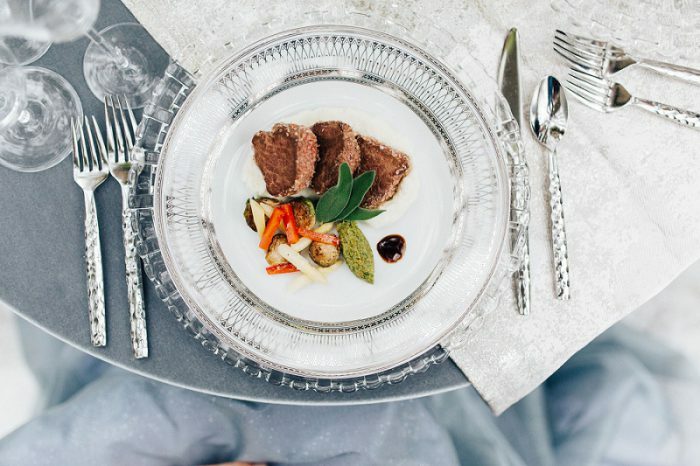 The chefs had fun with a seasonally appropriate wild game type menu – venison, duck – then ethereal fluffy things for winter snow – cotton candy cocktails, toasted marshmellow tarts with silky chocolate ganache inside….it was really nice. 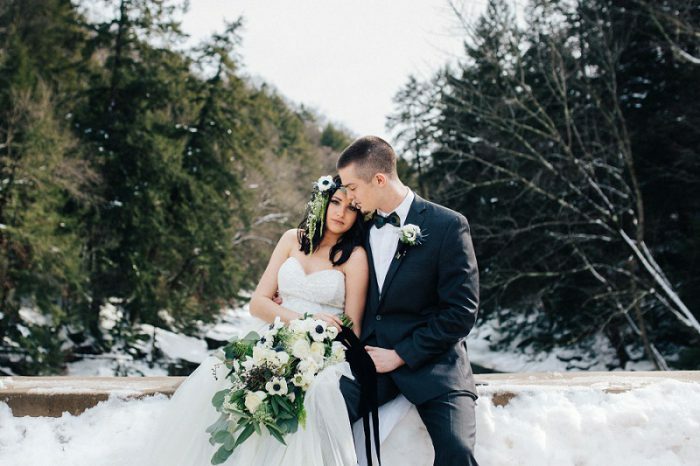 We had to be very mindful of where we stepped and walked to avoid marking up the beautiful bed of snow we worked in everywhere. 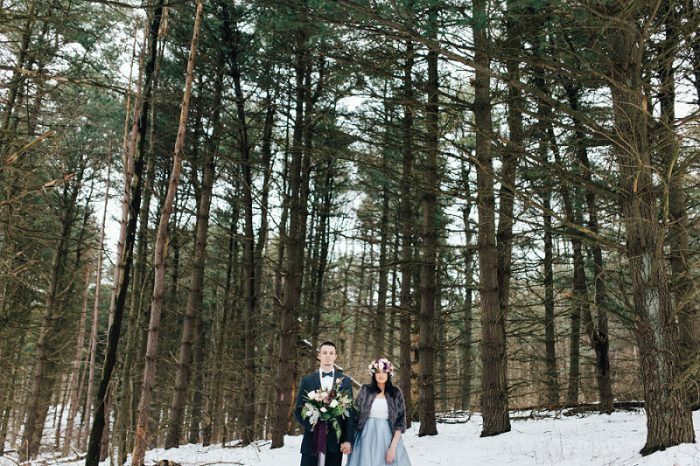 We had a broom handy at all times for snow fluffing. 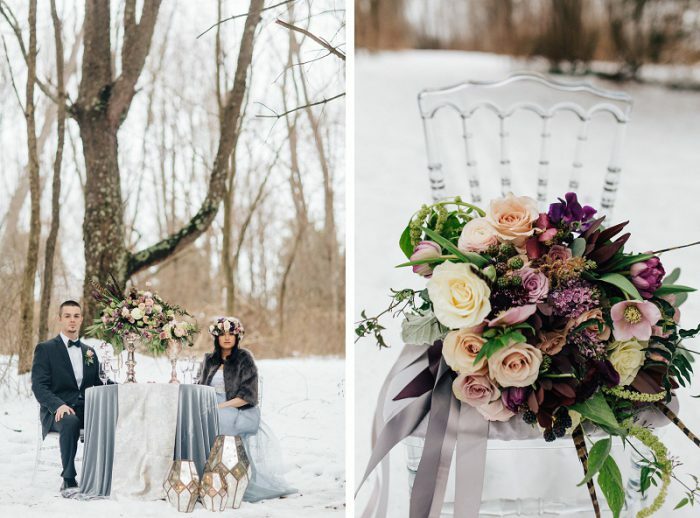 The water and snow covered trees in the background, the sparse juxtaposition of bare trees across the pond against the luxury of the fabrics and beauty of the clothes, and the setting of snow and trees with the clear napoleon chairs and the sumptuous sweetheart table. 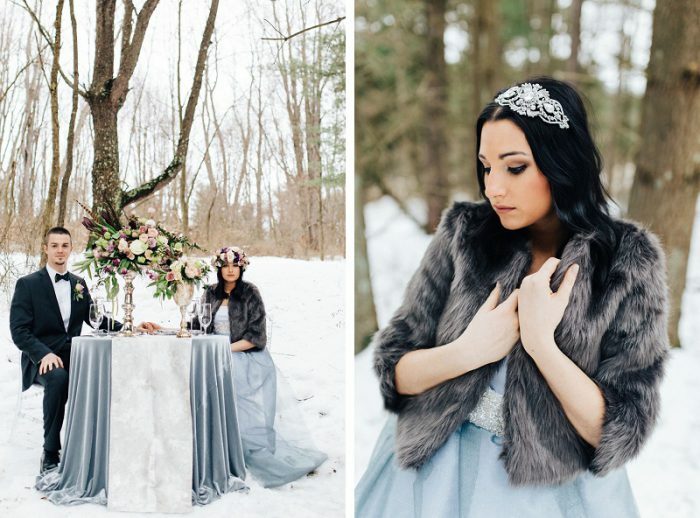 I just really liked this shoot more than almost any we have done before or after it.